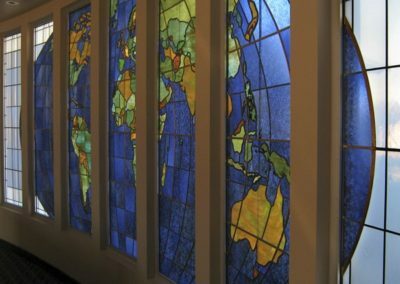 Our Shepherd Lutheran Church in Greendale, WI is home to “The Word Today” a radio ministry that that reaches millions of people each year. 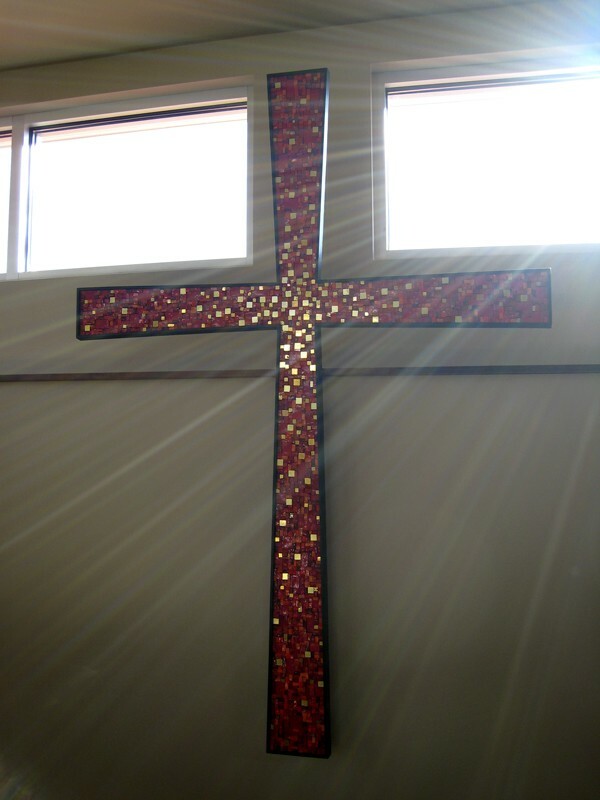 In 1978, Our Shepherd Lutheran Church began boradcasting on one station. 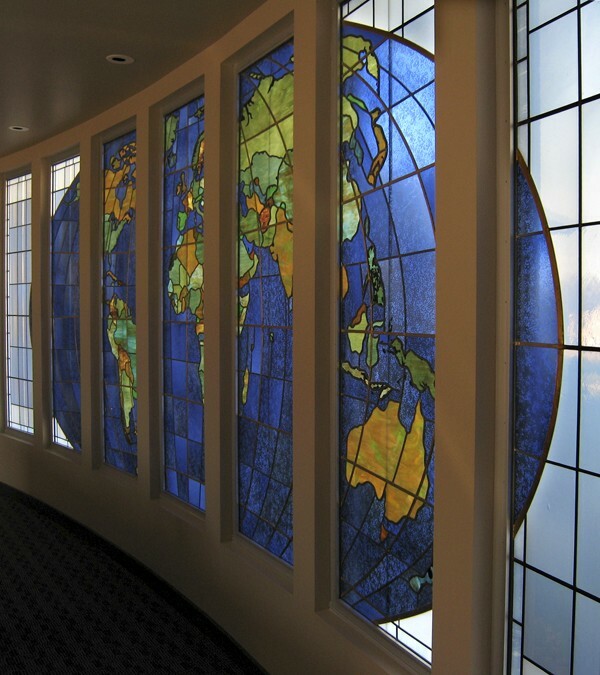 Today, the weekly program is being broadcast across the U.S. on more than 100 stations. 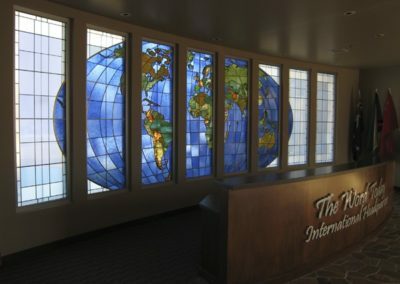 “The Word Today” program is also broadcast from 5 foreign countries, including broadcasts to China, India and Russia. 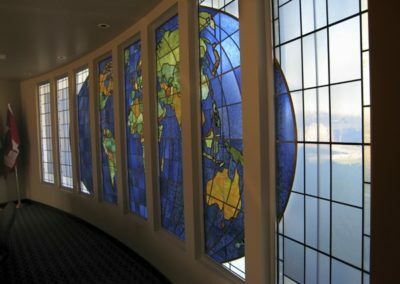 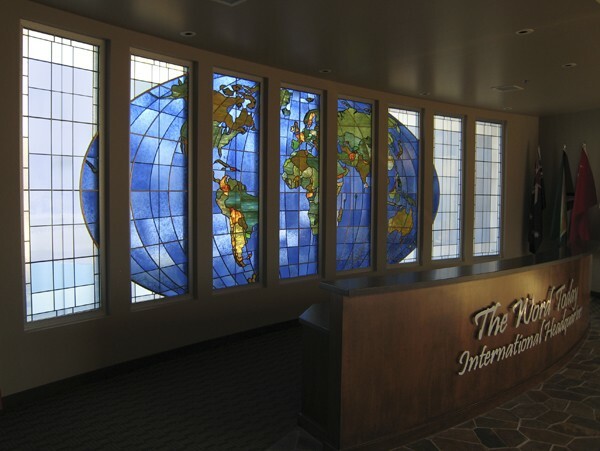 The new stained glass window created for “The Word Today” International Headquarters immediately portrays the far reach that radio ministry accomplishes. 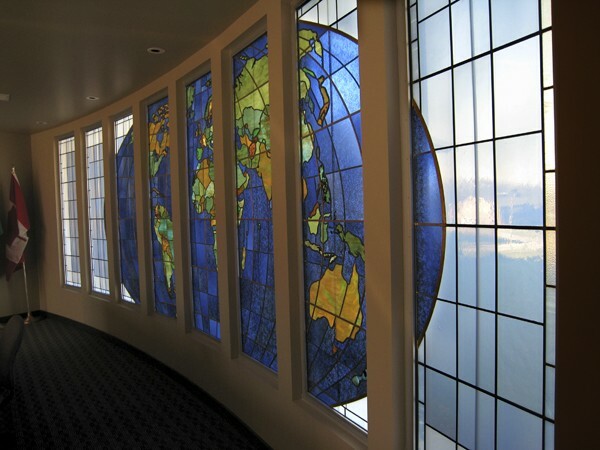 The land masses are accurately portrayed with different colored glass, while the blue glass for the water is acid etched to create interesting textures. 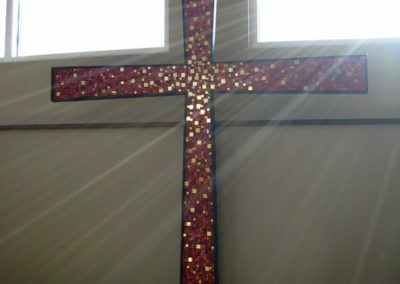 Also created for the Headquarter’s office is a wall mounted mosaic cross created of red tones with highly reflective metallic pieces converging toward the cross-section.